The apt-get update, updates the list of available packages and their versions, above we have added the postgresql repository, in the output you can see the apt-postgresql gets added. Postgresql comes with an interactive Postgres prompt. 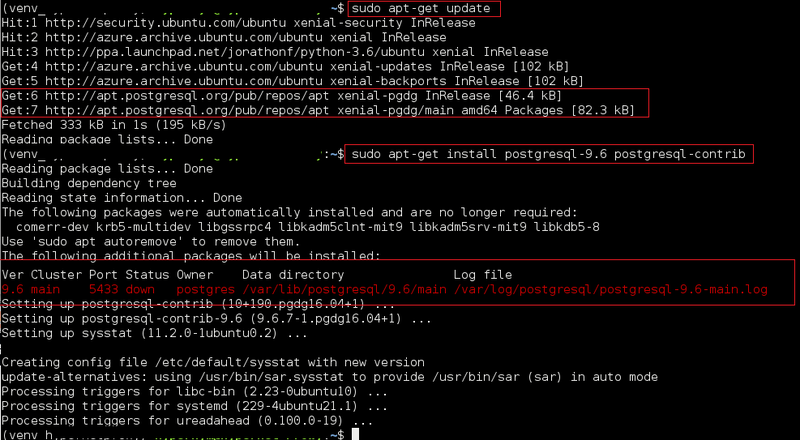 On installation the super user postgres gets created. A good practice is to update the password for postgres user and create a separate user for your service or web app. You are connected to database "postgres" as user "postgres" via socket in "/var/run/postgresql" at port "5432".